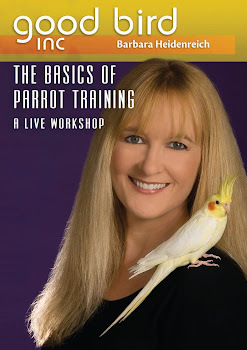 “Go Slow to Get There Fast” is a phrase you will hear me say over and over at my parrot training workshops. It’s quirky, ironic, a little ambiguous ……..and it works to help caregivers achieve amazing behaviors. So what exactly does this catchy little phrase mean? Some may interpret it as you need to be patient. 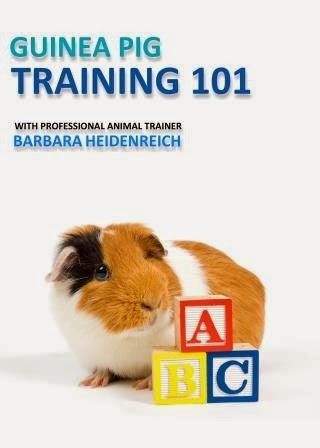 And perhaps that is a part of it, but in reality it is about helping trainers focus on the process of training a behavior, rather than just getting to the end result. Think about the behavior of trimming your parrot’s nails. The inclination is to get those nail clippers up to the bird toes and snip off a bit of nail before your bird has time to react. If you have ever attempted this, you know all too well that very quickly it becomes nearly impossible to get the trimmers anywhere close to your bird once he figures out what you are up to. This is an example of going too fast and only focusing on getting to the end result. In the same time it takes to struggle with a bird to get those nails trimmed, caregivers can actually make tremendous progress in training a parrot to accept voluntarily nail trims by slowing down. This means using smaller approximations. 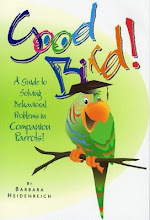 To do this, caregivers need to pay close attention to their parrot’s body language. 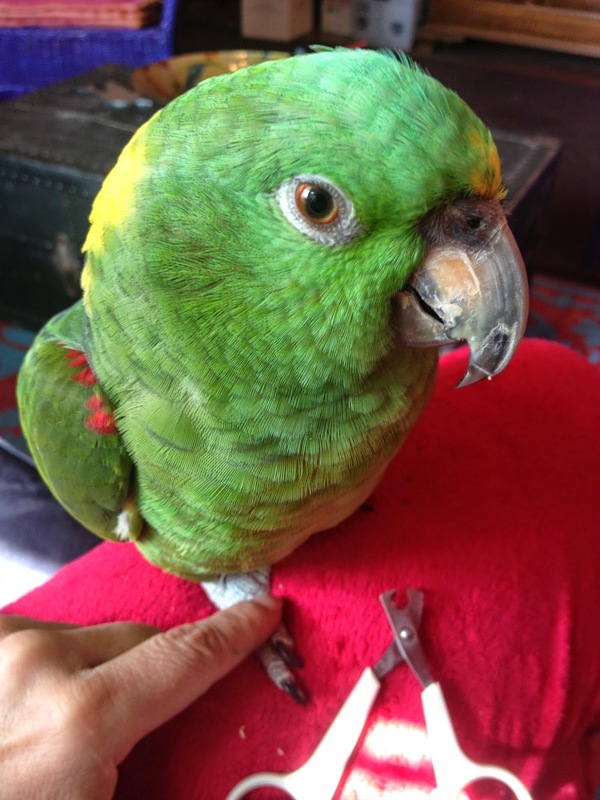 Bring the nail clippers up slow enough that your bird notices them, but does not show the slightest fear response. Pair this with desired experiences like getting food treats or head scratches. Keep bringing the clippers closer as long as the bird remains very calm. You would be surprised how fast this can go if you are attentive to your parrot’s responses. Once by a toe nail, don’t go for clipping just yet. Squeeze the handle of the clippers in the air. Barely touch the toe nail. 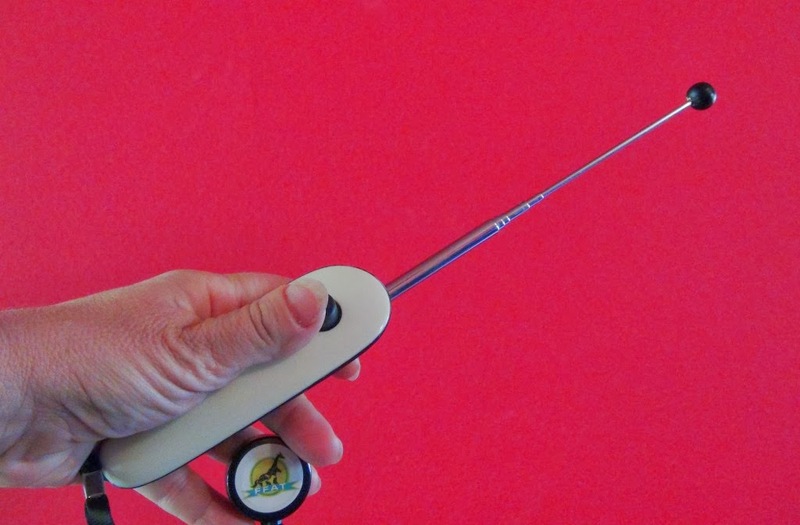 Squeeze the trimmers around the nail, but don’t clip. Pair all these actions with desired goodies. All these are important tiny steps towards your end goal. As long as your parrot is calm, you can keep moving through these approximations. When you think he is ready for clipping, just barely take the tip off. You don’t want any pain or bleeding to occur. Many times I have been able to trim a few toenails in just a matter of 20 minutes by going slow to get there fast. This approach can be applied to any behavior you are finding challenging to train. 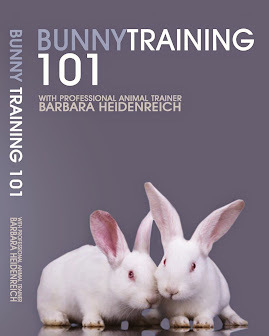 This might include restraint training, going back in the cage, harness training, learning to trust hands and stepping up. The reason going slow is faster is because every time we push for more than what the parrot is ready for we create a setback in training. The bird that is pushed beyond his comfort level becomes unwilling to participate. And the training process has to begin all over again. This scenario often gets repeated. In the long run it takes more time to train, and many times is never successful in achieving the behavior goal. If you find yourself pushing your parrot past his threshold of tolerance for what you are asking of him, remind yourself “Go Slow to Get There Fast.” You will discover you can train difficult behaviors in no time at all.